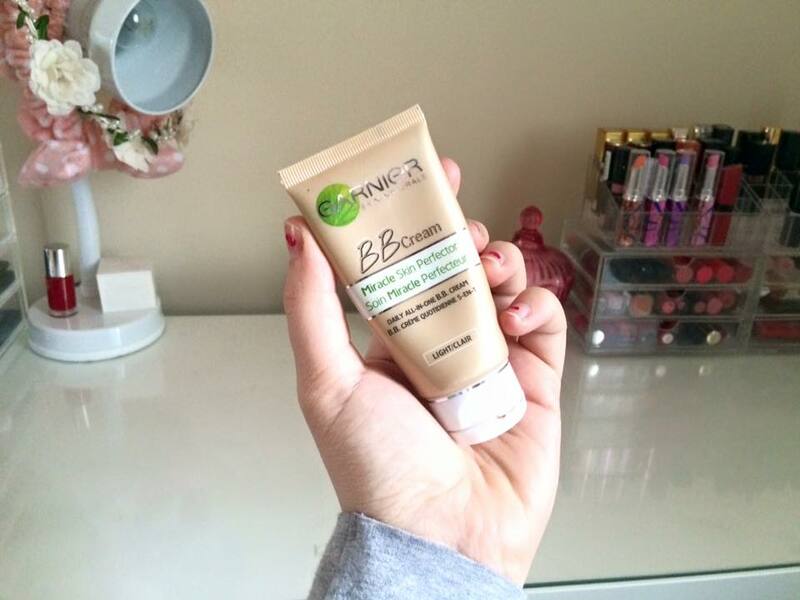 Although I'm a sucker for full coverage foundation, I can't help opting for this incredible BB cream from Garnier. This leaves my face feeling light, even and fresh - the smell is an added bonus, it reminds me of being on holiday!! The lightest shade matches my skin colour perfectly too; I always seem to be paler than pale after undergoing the cold Winter. 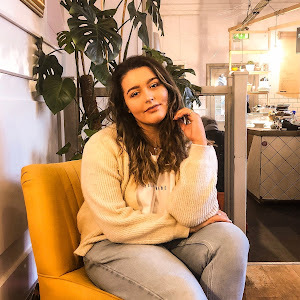 When it comes to complexion, I'm not one to go for intense contour and excessive highlight in the Spring, unless I'm going out in the evening of course. 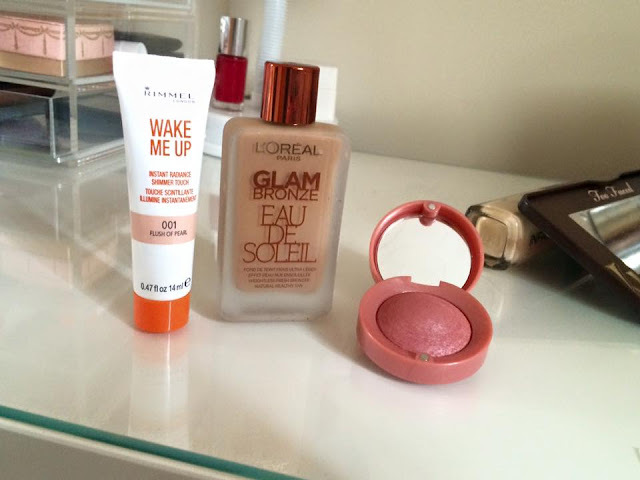 To create a more subtle bronze/contour, I use L'Oreal's Glam Bronze Eau De Soleil for slightly definition. The formulation is very liquid-y and can be messy, so be careful otherwise it will go everywhere - TRUST ME!!! Jasper Rose by Bourjois is the one to go for if you like pink, rosy cheeks like myself. The powder formula is highly pigmented so you don't need to apply more than two strokes onto your cheek to create the desired effect. Finally, face-wise, I'm into dewy highlight; Rimmel Wake Me Up Shimmer Touch in Flush of Pearl is supposedly a great dupe for Benefit's well-loved High Beam. The liquid formula forms a dewy, iridescent glow on the cheek bones which instantly draws sunlight. 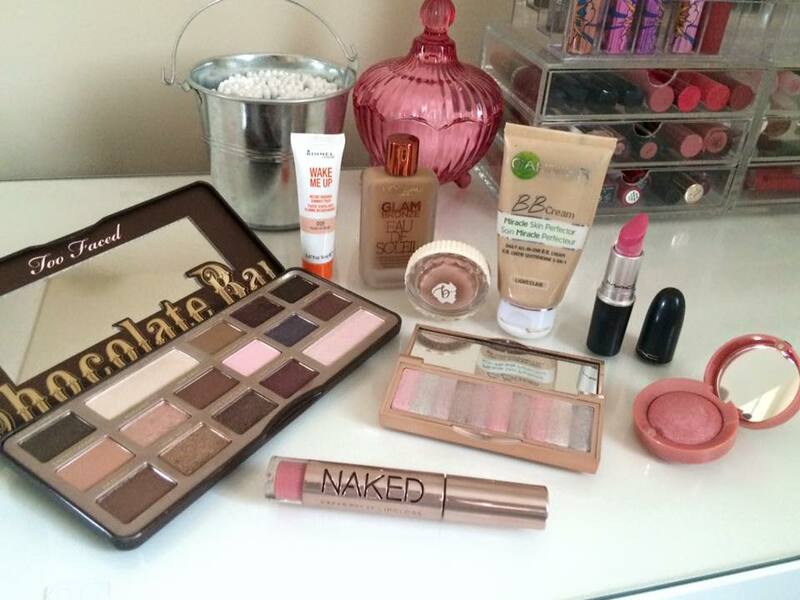 During this time of year, all of my pink-based eye shadow palettes come out the drawer and become much more utilised. 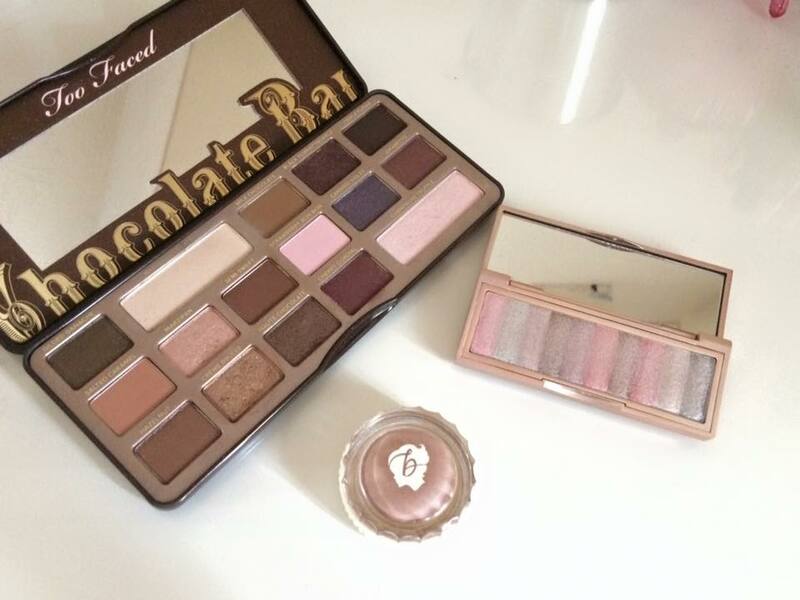 Recently, I've been loving my Too Faced Chocolate Bar palette as it contains both winter/spring appropriate shades to take me from one season into the next. My fave shades definitely have to be Salted Caramel, Creme Brulee and Haute Chocolate. Also, I love to use my Bobbi Brown Pink Opal palette for a quick shimmer on the lid - this can add a glitz to your makeup if you don't have time to go create a whole eye look. This would also work as a beautiful, pink-toned highlight! Finally, my Benefit Creaseless Cream Shadow in RSVP gives the perfect base for a Spring eye shadow look. 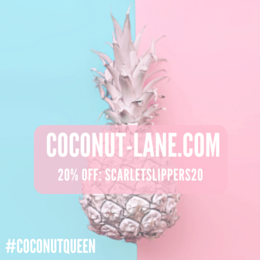 I cannot stop using it throughout the season, whether I'm wearing eye products over the top or not! Leaving the best till last...LIPS! Pink seems to be a running theme in my posts whenever Spring hits us... Anyway, Mac's lustre finish lipstick in Lovelorn is essential in my makeup bag throughout this time of year. Pink lips are so feminine and really lighten my complexion; this blue-toned pink also makes your teeth look insanely white. In the warmer months, I like to delve into my lipgloss collection - I have such lovely shades but am always hesitant to use them in the Winter, as the wind just blows my hair onto my lips and it is a NIGHTMARE. 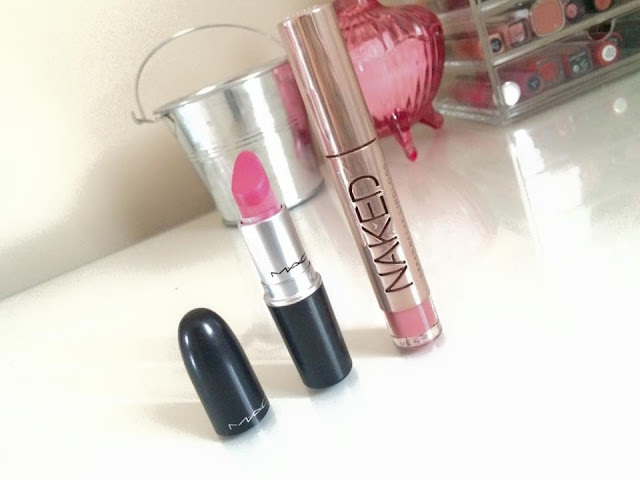 Urban Decay's beautifully encased LIAR lipgloss is part of the infamous NAKED collection - the colour is less dramatic than the lipstick so would work for those who are tentative at wearing vibrant colours. 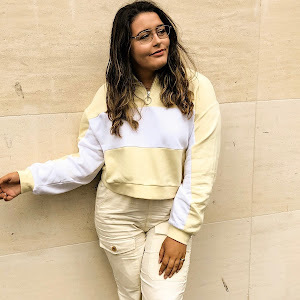 Don't forget to check out my Winter to Spring Fashion outfits post! What products do you always reach for at this time of year? What is your go-to Spring lipstick? !